Names for AAA games don't get much more balls out apt than Destiny. As well as making for snappy tshirts and box covers it reflects exactly what this space shooter represents for Bungie. Its follow-up to Halo, this is a game with a long term plan that not only has to sell, but has to prove that the company can do better than what's gone before. No pressure then. Bungie veteran and COO Pete Parsons, who has been with the company since October 2002, spoke to GamesIndustry.biz at E3 to talk about the game. He sheds light on the decision behind the E3 alpha test, that $500 million budget, and the company's ten year plan. Q: There was some confusion after the initial announcement as to what Destiny really was. Do you think you've established its identity? Pete Parsons:For us, it's always been a shooter. This is the next logical big step forward that we will take. I had the great fortune of being also at the very start of Halo, and so we saw many of the same things. Really, "shooters haven't been on a big way in a console before. Is Xbox going to be successful? What do you mean you can pick up and drive?" The same kind of things happened and the thing we needed to believe in is, "Do we believe we have a clear vision? Are we going to be able to communicate that clear vision by letting games speak for itself?" That's exactly what we ultimately wanted to do - let this game speak for itself - and I think it's really snapped into focus at this E3 for people as they finally got to put their hands on it. That's exciting for us because we're playing it everyday at work and we're all like, "Gosh, I think people are going to like this." We love it. "This is a big step forward but something we've been talking about for more than 10 years"
Q: How about announcing the alpha on stage, that must have been a bit tense, right? Pete Parsons:The fact that the alpha and E3 happen to fall at the same time is largely coincidental, and because we needed the alpha to test our backend technology, but the game is in such a good state already that we thought like, "We're getting it out to people," instead of making some special build or doing something. We wanted to get it out to people. In fact, let's get it out before. Make up your own mind. I think it's also one of those games where it's hard as a shooter but it has lots of investment, it has lots of activities. You're doing public spaces and public events, something that people have never done before on a console, and it requires more than just 15 minutes of putting your hands on it to experience that. Q: Even for a company with your pedigree, Destiny must come with huge pressure. Pete Parsons:Not really. This is a game we wanted to make for a long time. The pressure is on ourselves. In fact, in many ways, it's kind of the opposite. We've always wanted to do ambitious stuff. We've always wanted to push the genre we love in a new direction but continue to evolve it. This is a big step forward but something we've been talking about for more than ten years. Not exactly Destiny...Many of these concepts we had then, but the technology and our expertise weren't there. Activision believed in us and they believed in our vision, and so the investment they're making over this long period of time actually does the opposite. It gives us the freedom and ability to make the thing that we wanted to make, so while we put tons of pressure on ourselves, we always want to make sure that we hope the world loves it. It actually made it easier for us to realise that vision and we're seeing that pay off. Q: The $500 million figure that was bandied about, are you able to talk about the split of that between development costs and marketing at all? Pete Parsons:For marketing you'd have to ask Activision people, but for development costs, not anything close to $500 million. I think that speaks a lot more to the long-term investment that we're making in the future of the product. We sat back, long before we even came to our partnership with Activision, thinking about, "We wanted to tell a story over ten years." We wanted each one of these things to have its own beginning, middle, and an end, but we really wanted to step back and we can do it. We've done it before; we did it with Halo but we didn't plan it out. I say plan - I don't know how the story goes, okay? But really, think about how do we future-proof our technology? What are the kinds of things we're going to want to do? How do we build our team? How do we even build the building that our team is going to be in? We have the time to start building that out and that's incredibly powerful for us. Q: Activision clearly want this to be a tent pole going forward - they've talked about a 10-year plan. Is that something that you guys are comfortable with, getting invested in this project for that length of time? Pete Parsons:Well, that's our plan, actually. We came to Activision with the 10-year plan. That was completely us. It's a part of being an independent company. If you have to leave a universe that you love behind, it couldn't be really a better thing to do it with. A newly independent company starting on a new, bold adventure, which is why the game is called Destiny - it was originally a code name for the game and we ended up liking it a lot and then changed the code name to Tiger, but yeah, because it spoke so much about where we were going and what we were doing that it became the thing we're focused on. Q: Halo is a still a huge proposition for Microsoft - it was a major presence at their press conference. Pete Parsons:People put their experiences with Halo and they're going to do it with Destiny and if we do our job right, they're going to put it on the same mental shelf that they put the best entertainment they've ever had, the best entertainment experiences they've ever had. Star Wars, Harry Potter, they've done it with our games. It's such a flattering moment to have that happen. That people now think about the things that we've created and that they still remain relevant to people, even after a decade, is super cool. 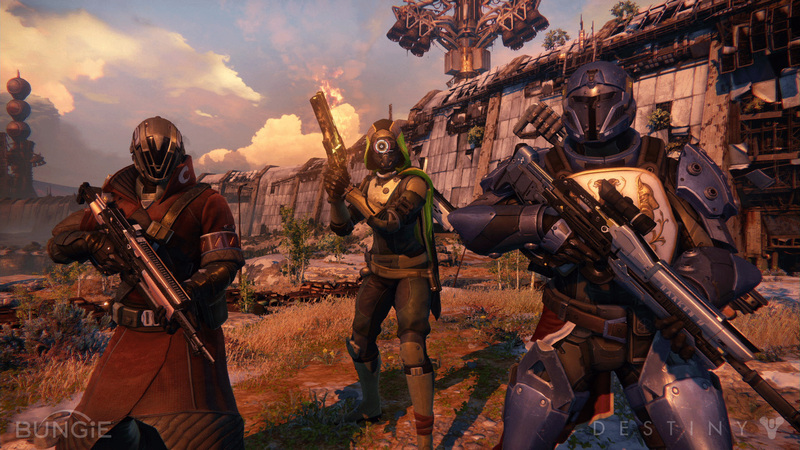 Q: Can you talk about the business model for Destiny? Pete Parsons:I really can't go into it. The thing we've said so far is that it's not going to be subscription. The biggest thing we wanted to do is make sure, certainly our business model to make sure that it's never confusing for anybody. People feel like they understand what's going on, they're not confused by it, that's actually been a really interesting challenge on the development side figuring out how we're going to make that happen but I look forward to having that conversation. Q: What safeguards are you putting in place to guarantee that service stays up day one and stays stable? Pete Parsons:Part of it is we've had, for many months now, we've been actively had a build up, we pinged our data centre for the first time more than a year ago. So we have been actively preparing. You made a great comment earlier, which is neither Bungie nor Activision do anything by halves. There's a reason why we've been doing, the reason why we have this Alpha today, the reason why these people are playing off the same data centre, if the internet goes down or a meteor hits our data centre, we're not playing on the floor today. There's no safeguards in place. We're playing on our thing and that's an active test for us. It's always scary and exciting and to put your work out in front of people who are judging it but it's also, it's scary to put it out there because you're testing whether it's going to work or not. "We pinged our data centre for the first time more than a year ago"
We take it super seriously and we've been planning for a long time, we've been investing into it to make sure that we have the best experience possible and I think we have to ultimately see what happens but we have every expectation of from moment one, having a great experience, and when things happen, whether it's with us or the internet, we have things in place. There's elegance in what we do so we have plenty of safeguards for this. Q: One last very quick thing, then. The IP, is that an Activision property or is that a Bungie property? Pete Parsons:It's a Bungie property. Q: That's incredibly rare, right? For a game of this scale? Pete Parsons:You know it is, but we're very fortunate. We came out of Microsoft as an independent company and we have a great pedigree and the reason why we have a great pedigree is because we have so many great people. More than half of all the original Halo team are still at Bungie. I think Activision saw our vision, believed in it. Owning the IP was really important to us. Being an independent company was really important to us and we're able to form the right partnership and things has gone great. Pete Parsons: It's a Bungie property. "If you're making a $500 million bet, you can't take that chance with someone else's IP"
Perhaps thats taken out of context but it appears that he thinks Activision owns atleast some small part of the Destiny IP. Probably just a misquote. While everybody is busy out there touting the $500M investment over 10 years, nobody is talking publicly about how money will be made over those 10 years and on which platforms. 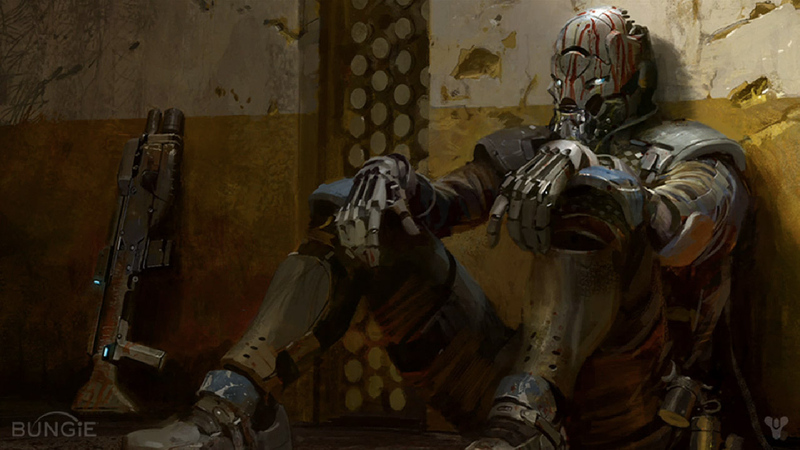 Right now, Destiny is an all-in move betting on the future PS4 and XO. What happens to players and player progress once the PS3 and 360 phase out? Will there be annual releases? 10 years DLC? Expansions? Subscriptions? Microtransactions? Season passes? What will happen to players joining Destiny three years intot he game. Will they catch up on the old story, or is this of no consequence in the end? I am sold on the mixture the game offers today, just as I was sold on some games back in 2004. This games certainly makes no bold claim about the player in the way Fable (you are going to love this dog) and other illustrious franchises did in the past. But the ambition is unmatched, nonetheless. 10 more years of space men, with big muscles. Is the games industry getting more mature...or?